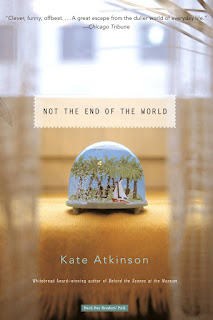 Those of you who follow this blog will know how much I admire the novels of Kate Atkinson. Well, here is something by the same author, though not quite what you might expect; it is a wonderful collection of short stories that taunt and stretch the very form itself until you can almost debate the very nature of the thing. For when is a short story collection not a story story collection: when the stories are so interrelated that they actually form a series of chapters in a novel. So, if you have always run a mile from short stories, you might want to give this clever, clever book a try. Atkinson creates a tapestry of colourful characters who lie side by side, linked together with a finely woven narrative thread, binding the stories together and creating new shades and nuances with every additional one. You might be introduced to a character in the first story, but only discover their complete story when you read the second-last story, say, which really does set the mind ringing. Reality is what you might expect to find in this text, with its down to earth, 'real' characters, but you with Kate Atkinson, you never get the expected. This author, again and again, surprises us with outlandish events and twists, just as she lures you into a false sense of security; you forget that nothing is as it seems in this book. For a start, the title is misleading. The book begins and ends with Trudie and Charlene, clearly living in a post-apocalyptic London, at the end of the world. This could be a theme of the book in truth: characters surviving the unthinkable, the unexpected; after all, it's not the end of the world or is it? Not only do these funny, profound stories develop, like a snowball, ever-growing as it rolls along, but the entire collection is soaked in subtle references to Greek Mythology. Characters might be begotten of sea-gods, taken prisoner by Zeus for half the year, or be covered in ancient lizard-like scales merely to disintegrate into dust like some kind of human phoenix. One could spend forever just researching the many layers of meaning in this text and how the Greek parallels relate to these modern stories and their characters. 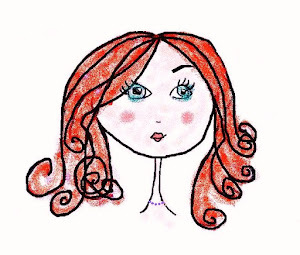 There is clearly a woven thread which links these stories and takes you from a certain beginning to a certain end, so please don't be put off by the form - whose afraid of a short story anyway? - and give this clever book a chance. You will be amazed at Atkinson's skill and will come to love all of her ingenious characters. The only trouble is that you will instantly want to re-read the novel as soon as you complete it, to deconstruct it and retrace that fine woven thread, picking and pulling at it to unravel this masterpiece. SO, when is a short story collection not a short story collection? When it gets the Kate Atkinson treatment. For that alone it is worth picking up and for the wonderfully-drawn characters it is worth reading again and again.